I love October. It’s the month of Halloween and I have not dressed up in years nor have I gone trick or treating in well over a decade and a half. October is the time for me to curl up on the couch, drink some delicious pumpkin beers and watch some of my favorite horror movies. The horror genre gets a bad rep in the film community. They are seldom recognized at Awards time and are often met with tepid reviews from critics. Some make a lot of money and spawn entire franchises that spoil the greatness of the original, some are just plain terrible and get sequels regardless. The ratio of good horror movies to bad ones are about 1 out of every 5, to find the good ones you sometimes have to search through a lot of garbage. If you are tired of watching the same great horror movies every year (The Exorcist, The Shining, A Nightmare on Elm Street etc. ), here is my list of the top 10 New Halloween Classics. The criteria is simple, all of the films had to have been released between 2000 and 2014 and they have to have some elements of horror in them, not necessarily be a horror film. These are all great films to watch around this time of year to sit back with as the leaves change color, have a pumpkin or Oktoberfest ale and enjoy some thrills. 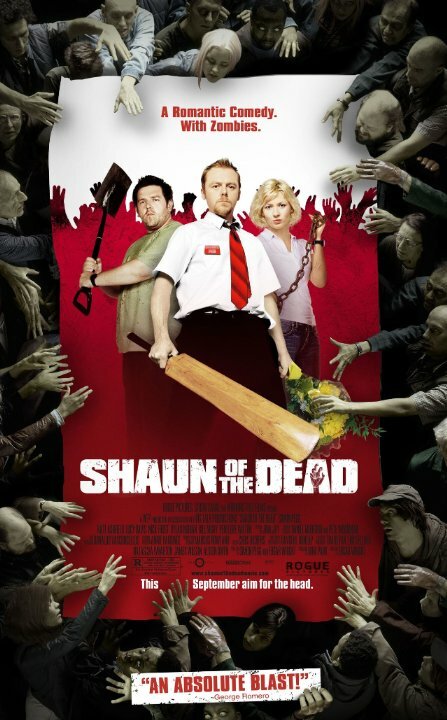 Shaun of the Dead (2004): A virtuoso blend of horror and comedy done so well and pays loving tribute to George Romero’s original Dawn of the Dead (1978). It’s one of the best films of the past decade its comedy elements are so great it can be enjoyed anytime of year not just around Halloween, so it didn’t seem to fit with the other titles on the list. The Gift (2000): Sam Raimi’s Southern gothic horror story is so well acted Cate Blanchett would have earned an Oscar nomination if it were not classified in the horror genre. Literally just missed the top 10, is probably number 11 or 12. Frankenweenie (2012): A great Halloween movie for the whole family, I only did not include it because it was inspired by (and as good as) Tim Burton’s original black and white short film from 1984. 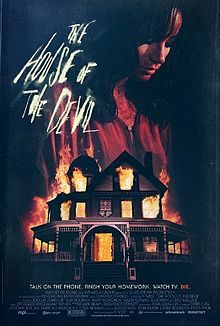 The House of the Devil (2009): If you care about atmosphere then this is the one for you. Feels like it was made sometime between 1978 and 1984 and its mood and tone are the best part. Its substance and payoff are weak and that’s why it is not on my top 10 but is still worth seeing. 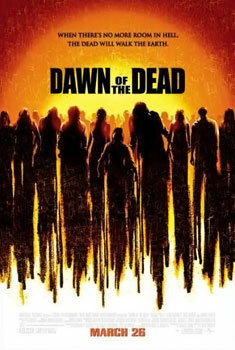 Dawn of the Dead (2004): The best of all the horror movie remakes of the new millennium, however it is a remake so I felt it would be unfair to put it on this list. 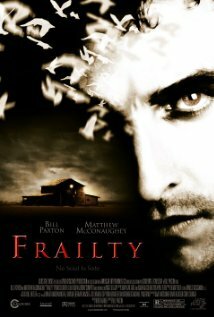 Frailty (2001): If McConaughey made more movies like this dark atmospheric thriller and social commentary on middle-America instead of crappy romantic comedies, we’d have had the “McConau-ssance” over a decade ago. The Devil’s Rejects (2005): Rob Zombie’s sophomore directorial effort is vastly superior to his debut. It’s a rare horror sequel that is better than the original and one of the most intense and unrelenting horror movies of recent years. 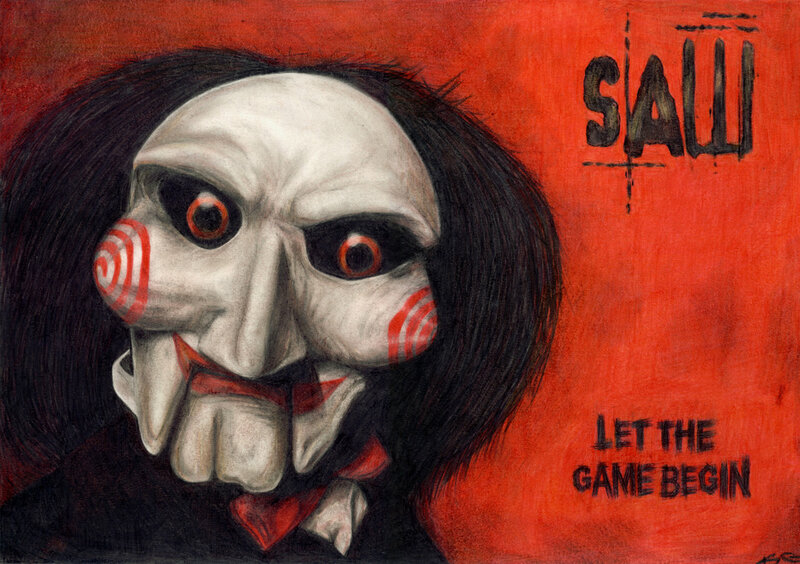 Saw (2004): The sequels may have sucked but the original was a true horror phenomenon of the 21st Century and also a great old-fashioned morality play. 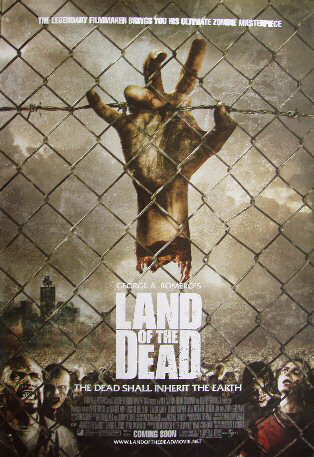 George A. Romero’s Land of the Dead (2005): The man who invented the modern zombie genre still had a little gas left in the tank when he delivered his fourth living dead opus. Great ideas, social commentary, classic gore and solid thrills can all be found here. 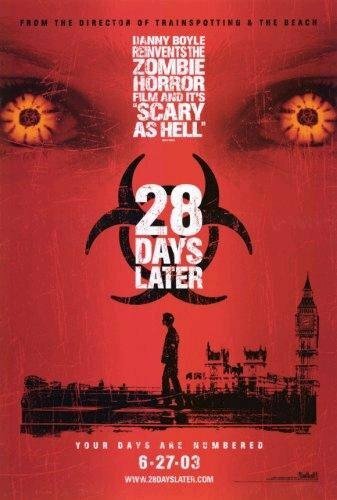 28 Days Later (2003): Danny Boyle’s film was the first one to introduce the world to fast zombies. That alone deserves serious recognition, along with great visuals of London completely deserted. However I consider this more a deadly infection thriller than zombie horror and its first and third act were a little too preachy for me. Also left off the list are Bug (2007), Antichrist (2009), Open Water, (2004) Cloverfield (2008), Shutter Island (2010), World War Z (2013), Martyrs (2008), May (2002), Blade 2 (2002) and Pan’s Labyrinth (2006). All I consider either very good or truly great films which all contain horror elements but none of them I would classify as horror films. A great scary journey for children and adults alike, this is one film where there the PG rating is certainly warranted due to the haunting imagery. 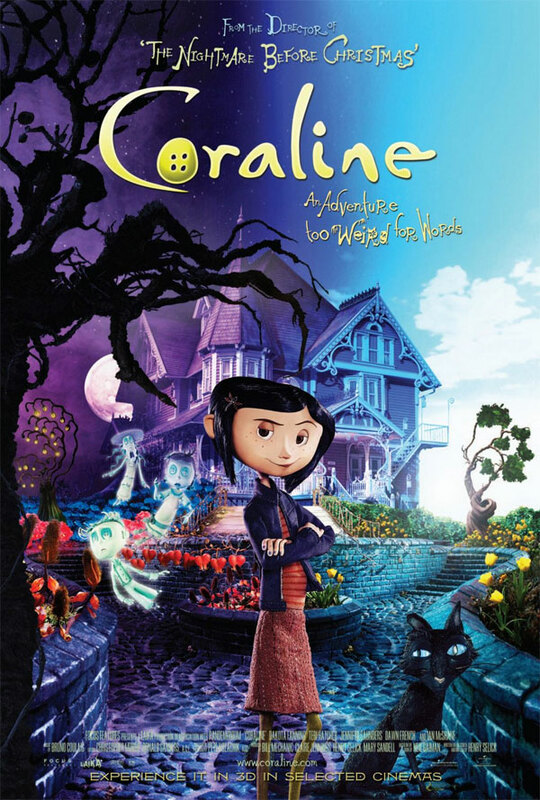 Great voice acting by everyone involved elevates the dark visuals and make this film succeed where Tim Burton’s Alice in Wonderland failed, it’s like Pan’s Labyrinth for children. Directed by the same guy who made A Nightmare Before Christmas, this film is undeniably better than that Halloween mainstay. An inventive little gem of horror clichés that could have been very formulaic but end up feeling fresh and unique, a real shame this did not get a wider release when it first came out. It’s perfect for Halloween as four interwoven stories occur on the night of Halloween that result in some very fun and shocking twists and scares. This is also the only film I can think of where the trick-or-treater was not the victim but actually the predator. Check it out if you have not seen it, its short and a lot of fun. NAZI ZOMBIES! Need I say any more? Seriously though, this Norwegian horror gem is one of the most fun horror movies I have seen in a long time. It’s without a doubt one of the best zombie films (and that’s saying a lot considering how popular the undead have been this century) and adds a lot to the zombie sub-genre. Plus, it’s the first film I have seen which has NAZI ZOMBIES! Come on, NAZI ZOMBIES! Why haven’t you seen this movie yet? NAZI ZOMBIES! One of the only few horror thriller comedies that is more fun than Nazi zombies, it’s also rather brilliant in the way it explains and humanizes how franchise serial killers like Freddy, Jason and Michael Myers can keep on surviving and cheating death to make it alive for the next sequel. A revisionist slasher film that takes an otherwise tired genre and turns it inside out as a documentary crew follow around our title character as he explains how and why he terrorizes his victims. If Christopher Guest (Waiting for Guffman, Best in Show) were to ever make a horror film, it would look exactly like this. This is the only movie made in the past 14 years that was more ingenious and more revisionist horror than my #7 film on the list. Written and produced by Joss Whedon this simple story weaves in every horror movie cliché on purpose and explains why they all exist. With one of the best twists in any picture from recent years and a very bold ending, I would not dare spoil either of them. 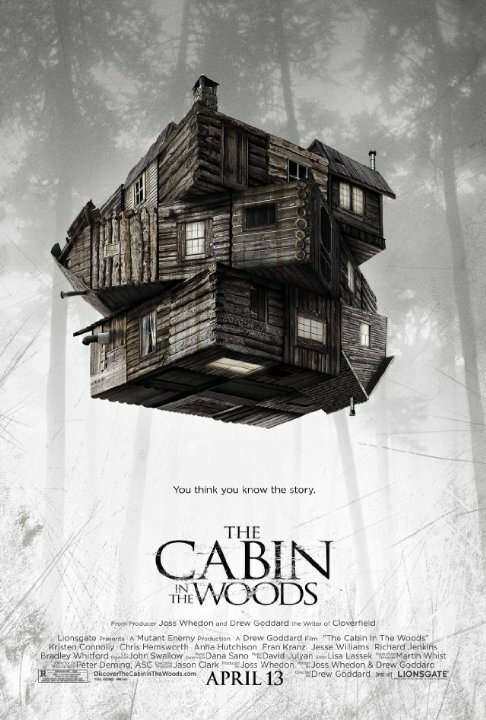 If you have not seen Cabin in the Woods and are in the mood for a truly unique horror movie, do yourself a favor and watch it. 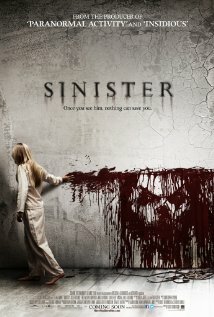 Another very simple premise for a horror movie, however unlike Cabin in the Woods which takes its clichés, dissects them and turns them upside down and inside out on the viewer, Sinister embraces the clichés and uses them so effectively. It has a great performance by Ethan Hawke and there’s the creepy little kid who knows and sees ghostly images that the adults do not see. It is not as unique or intelligent as some of the other pictures on the list but it is one of the most sublimely effective horror films that has the ability to make you jump and get under your skin at the same time. It features some genuinely creepy and terrifying moments. In this day and age of movies that is a rare accomplishment indeed. The second Scandinavian film on this list is a masterful import from Sweden. It adds a lot to the normally very tired and overused vampire sub-genre while also capturing elements of growing up during the cold war right next to the Iron Curtain. The film includes remarkable details with its theme of identity and what people are willing to do to become someone else, have friends, cure their loneliness and be loved. 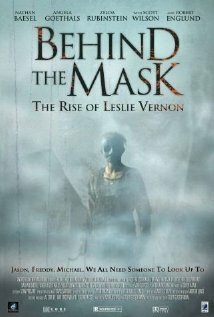 A stark horror film with very deep themes, I find it sad that American audiences largely ignored this movie. Meanwhile Twilight and its sequels made billions at the box office and do not even bother with the US remake of Let the Right One In (Matt Reeves’ Let Me In from 2010), it is just the big studio system using their paint by numbers approach to a smart concept and has none of the edge or desperation from the original. 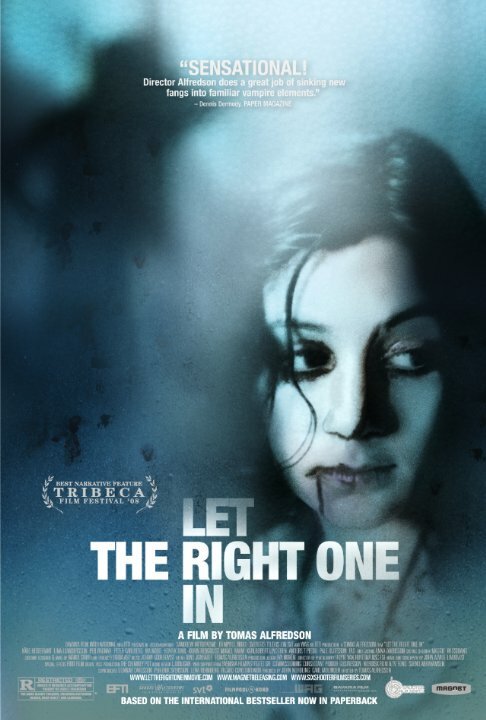 Not as scary as Sinister nor as smart as Let the Right One In, but gosh darn it this is definitely the most fun I had in the theaters watching a horror movie in my life. For me the “fun” factor counts for a lot with this genre because that is why we go to the movies in the first place and this was an experience I will probably never forget. Sam Raimi kicked off his career when he directed the excellent Evil Dead films and has since gone on to bigger studio productions (like the original Spider-Man trilogy). For years horror fans were clamoring for him to make an Evil Dead 4, well once this movie was released those demands ended because this movie satisfied that and then some. I stand by when I say this is the best film of Sam Raimi’s diverse career. It was relentless with its thrills which managed to be simultaneously scary and hilarious throughout. That is no easy task but Raimi is obviously a master at blending those two genres and never making it feel like a farce. The performances especially by Alison Lohman, Justin Long and Adrianna Baraza are all excellent and the special effects are not state of the art, but are exceptional and perfect for this type of film. The fact that Drag Me To Hell was so exhilarating during its 99 minute run time and had a PG-13 rating makes it even more remarkable and unique. Thus illustrating that great horror can be as difficult to find as a needle in a haystack. This movie is one very extraordinary needle worth finding. The first and only movie on this list based on the writing of Stephen King is not only a great horror movie, but its one of the very few times a movie felt like it punched me in the gut and I loved and admired it for doing that. On the surface it is a well-made supernatural thriller with complex characters, solid performances and a tight script. Beneath that, it is a film with multifaceted ideas about government, religion and most importantly about humanity and what we will do to survive. It is a picture Thomas Hobbes would be proud of because it touches on his “state of nature” concept that when you strip mankind down to its barest form they will become selfish, turn on each other and do whatever they can to have control and survive. 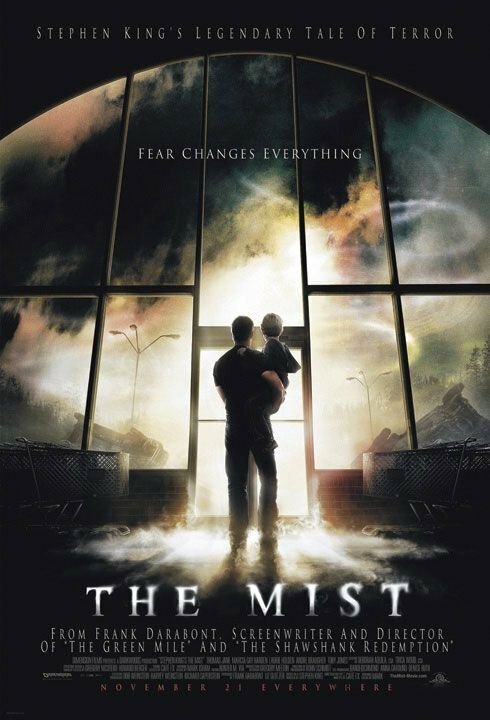 We see this play out during the film in various situations where all the main characters are trapped in a grocery store trying to avoid the evil that lies within the mist, but nothing can prepare audiences for that final act where director Frank Darabont adds an edge to King’s original story and leaves the viewer in utter shock. But after the movie is over and the credits start to roll, you are left with even more questions about the films philosophy and its themes about religion, life, death and what it means to be human. A modern classic that is as deep as it is dark. The most truly terrifying experience I ever had in a movie theater. This is the only time I saw a film and as I walked out I took the horror with me and was shaking. A visceral film and one that the experience of in the theaters has never been duplicated, it is also a brilliantly directed and artistic picture with characters and a back-story dealing with important themes of friendship, family, death and loss that all come full circle in both a surreal and brutally realistic adventure beneath the surface of the earth. The deeper our characters go underground the darker and more intense the scares become and the darker their relationships get as they try to escape from these gruesome creatures referred to as “crawlers”. This picture is rich with glorious details and the title is a great double meaning of the main characters literal descent underground and her possible descent into madness culminating with a “rebirth” of sorts or so we think. The ending is as dark as they get while respecting the viewers intelligence to figure out if she really does escape from the creatures in the cave or not. When it first was released I heard comparisons of it to the sci-fi horror classic Alien (1979). While it is not nearly as outstanding as Ridley Scott’s influential masterpiece, the comparisons are justified. This remains one of the best horror movies I have ever seen and one that I think will remain as intense and imaginative to audiences for years to come. We watch “Shaun of the Dead” once a year about this time. It came out when we were dating. We went to a Halloween party that year, Rob was Shaun, I was the zombie Mary. We will look I too Frailty on your rec. Thanks! Halloween is one of my favorite American holidays, and I absolutely love horror movies, I like the thrill of getting scared.. 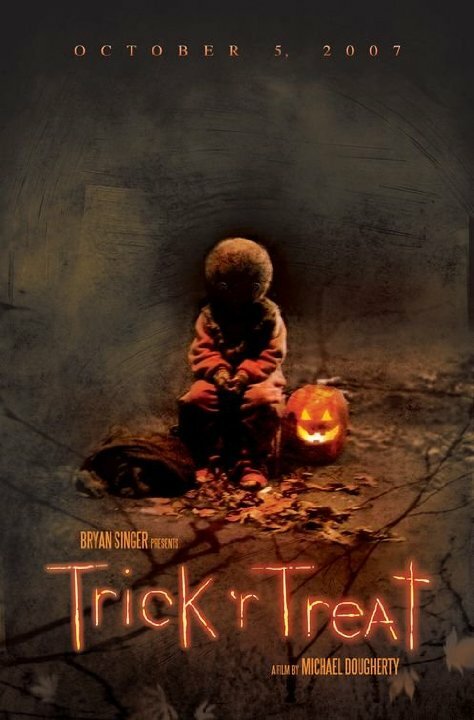 I will check out “Trick r’ Treat”, “Sinister” and “Dead Snow” from your list, and “Frailty” and “Devils Rejects” from your suggestions ( I remember you mentioning to me this Rob Zombie film). I do wonder why you don’t have “Devil’s Backbone” on your list, it is very good and from one of your favorite directors, Guillermo del Toro. ANother movie I think you should have here is “the Conjuring” watch it in the dark with the volume high and I think you will agree with me. It freaked me out! And also The Ring and The Grudge (Japanese versions not American) those are very dark, almost disturbing.